The providers at the Hearing Center at Ear, Nose and Throat Associates support you through the many stages of hearing loss correction to find a solution that works for you. From comprehensive hearing screening to choosing a hearing aid that is best for your needs and performing regular device maintenance, we help Florida patients regain their ability to hear. A hearing aid screening is a painless test conducted by your audiologist that determines whether you have a hearing loss. 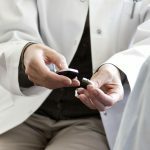 Our trained audiologists offer a number of different treatment options to help patients maintain full and active lives. 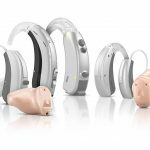 Once we’ve helped you find the hearing solution technology that is right for you, we’ll work with you to help you get the most from your devices as your hearing needs change. 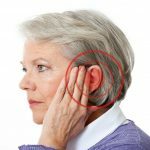 Tinnitus, commonly known as ringing in the ears, is a problem that goes hand in hand with hearing loss. Solutions are available to help relieve the ringing in your ears.